Mich & Jo: I love lilies! Don't you just love the sweet smell of lilies? 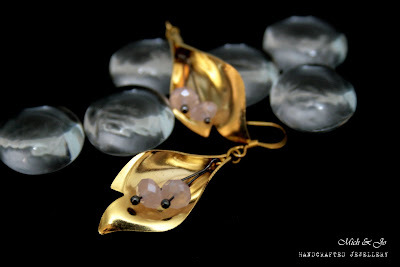 These gold earrings with pink glass beads are reminiscent of calla lilies.. But are you looking for something funkier?? We love these gunmetal filigree calla lily petals. Wear these with your hair up...you're bound to get attention! 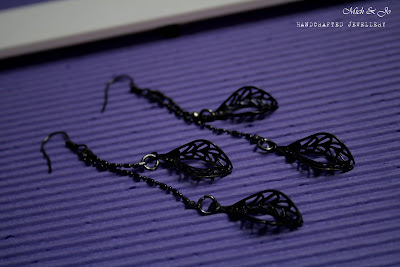 Earrings are 2" long.